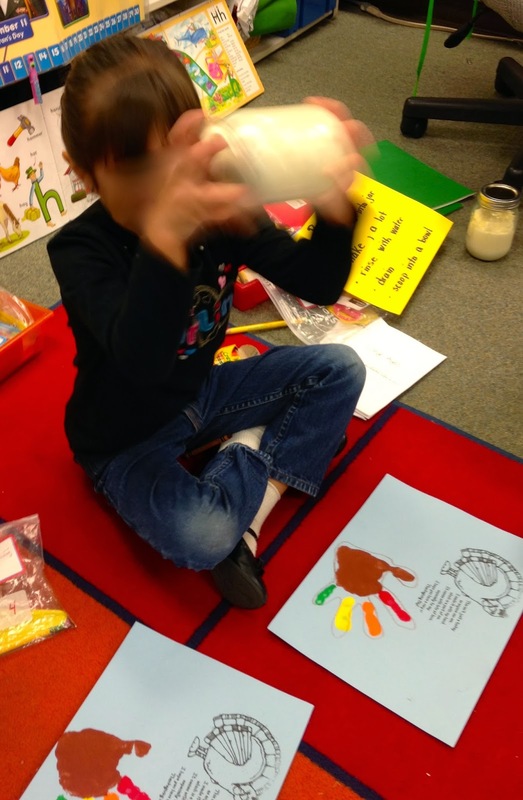 Teaching Blog Round Up: 6 Secret Tips for Common Core Fun in November! And, of course, a FREEBIE!!! 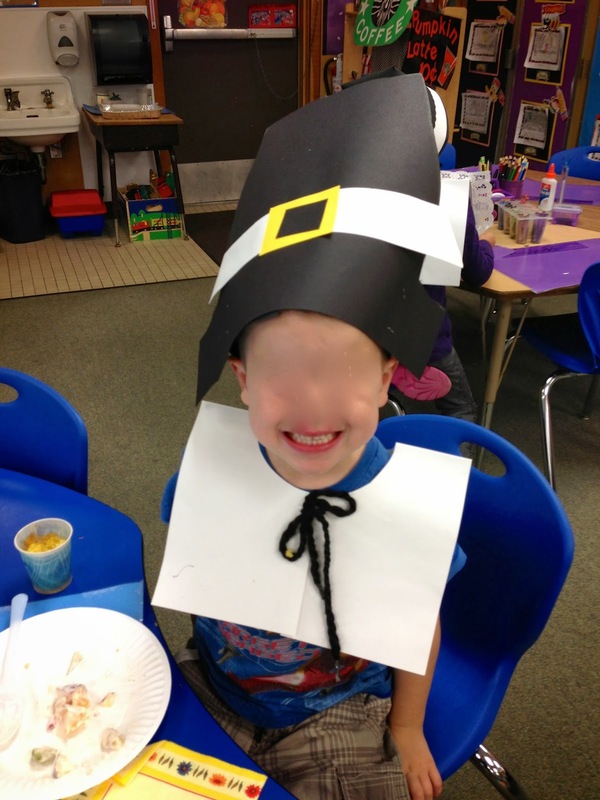 6 Secret Tips for Common Core Fun in November! And, of course, a FREEBIE!!! You can have the greatest Thanksgiving Feast Ever and it's soooo SIMPLE! 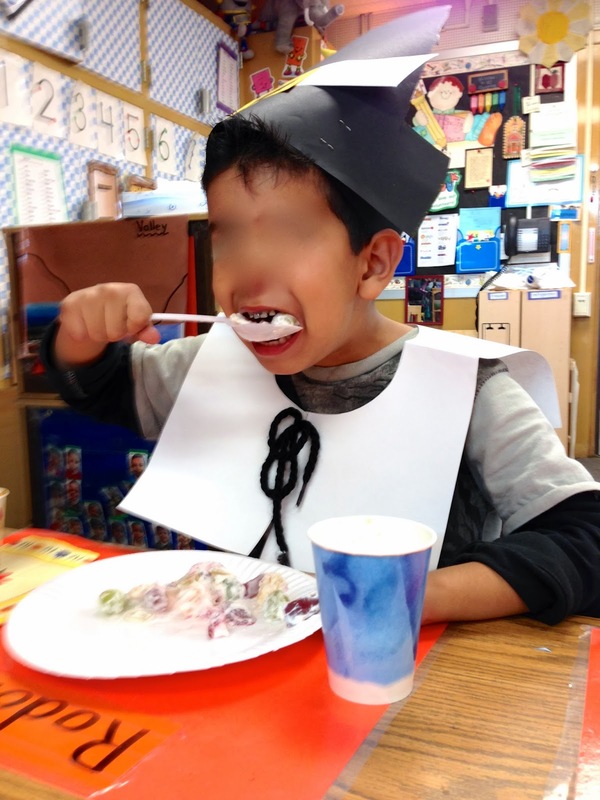 Last year, we had so much fun learning & making food for our Thanksgiving feast! 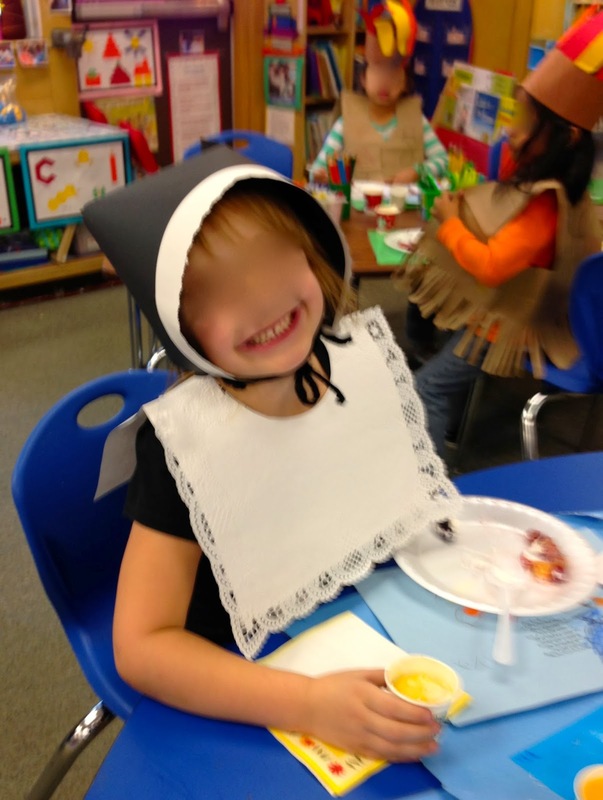 Yes, Common Core can be a huge part of your feast! 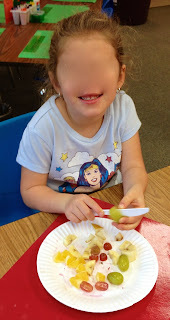 I made a list of all of the things we needed to make these simple food items on our menu: Corn muffins, butter, fruit salad, and apple juice. Cornbread cooked right in these paper cups! airspace at the bottom. No flat bottom cups allowed! don't use a plastic container. cut the sections well & they get smashed. Set out a large plastic bowl to collect all of the cut up fruit. Crack open the pomegranate. Children will only remove the pieces. A tray to transport the cups to the room where they will cook. These are real "cup" cakes! Set the heavy whipped cream out so it is room temperature when the children start to shake it. A small bowl, a dish for serving, and a spoon. Apple Juice: If you plan to serve bottled juice, just refrigerate it. If you plan to juice, set up station 4 where children get to toss apple slices into the juicer and watch it juice the fruit. Each station will need one parent or aide to run the station and you will need an adult to take the corn muffins to the room where they will cook. Common Core: CCSS.Math.Content.K.CC.B.4 Understand the relationship between numbers and quantities; connect counting to cardinality. Students wash and dry their hands. The plates and knives can be re-used by the next two groups. I put out a book for the adult to read to the group if they finish early. Making sets of cut fruit! Common Core: CCSS.Math.Content.K.MD.A.2 Directly compare two objects with a measurable attribute. Students wash their hands and the adult writes each child's name on the bottom of his/her cup. Each students measures 2 T of corn bread mix into their cup (using the popsicle stick to level off the tablespoon) and 3 T of water. They mix with their popsicle stick. The adult sends the cups to the room where they will cook. 15 cups can fit in a normal size electric frying pan. You DO NOT add any water to the pan. Simply set the temperature to the level designated on the package it becomes an oven. Place the cups inside, place the lid on top, and bake as normal. I place an activity or a book out for the adult to read to the group if they finish early. Stirring the corn bread mixture. Pour 1/2 cup of heavy whipping cream into each of the 4 mason jars. Make sure the lids are on tightly and that your group will be working in a carpeted area, no hard floors. One jar will be the demo jar and each one of the other jars will be for each group. Demonstrate how to hold the jar with BOTH HANDS and shake it. Students take turns shaking the jar and counting the shakes until the liquid becomes thick and coats the inside of the jar. 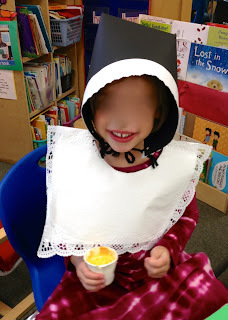 They continue to shake the jar (continue to count from the last number counted by the last student until you reach 100, then start counting again) until they can't hear the liquid any longer because it has turned into whipped cream. They continue to shake the jar until they hear a "clump, clump" and a "swish, swish!" They will hear the clump of butter hitting the inside of the jar as they shake it and they will hear the buttermilk swishing. They will also see how the white cream is turning into a yellow clump surrounded by white milk. They continue to shake the jar until the clump gets bigger and the buttermilk gets thinner. Pour the butter and buttermilk into a bowl and let the children see the yellow clump of butter in the buttermilk. Pour off the buttermilk into the sink and "rinse" the butter with water, pressing the back of a spoon into the butter to push out all of the buttermilk until the water runs clear. Spoon the butter onto a serving plate. I put out an activity (like illustrating the detail of their handprint turkey) or a book for the adult to read to them until their group time is over. We usually go out to recess after the 3 rotations are done. 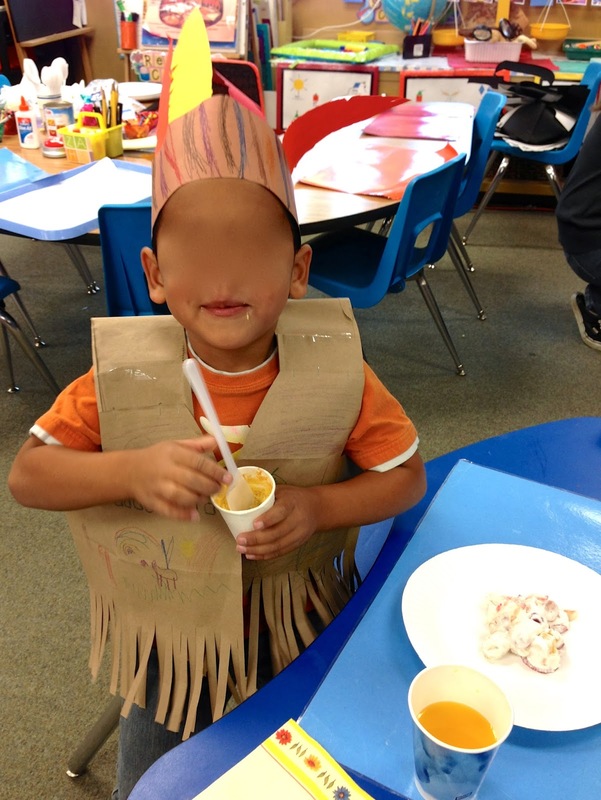 While they are gone, the volunteers put the students' costumes on their chairs and set the food on a serving table. Our volunteer demonstrating how to shake the jar with 2 hands. Students wash their hands and place a few slices of apples into the juicer. They count as they place the slices into the juicer to understand that the last number names the number of slices placed in the juicer. Vary the number of slices you give to each student. They watch as the juice trickles into the bowl. The adult reads them a story (usually a book filled with informational text about how apples grow) and they color a Thanksgiving Feast page. When the students come in from recess, I read a story while the adult volunteers help small groups of students put their costumes on. Each group goes up to the serving table to get their cornbread muffin (their names are on the bottom of each cup), a bit of homemade butter, a scoop of fruit salad, and some apple juice. What fun! Before punching the holes for the yarn on the collars, place a piece of tape on the collar, then punch the hole. This will reinforce the hole and prevent tearing. into the fruit salad. You can find a healthier one than Cool Whip at stores like Whole Foods. The days before our feast, we made our pilgrim collars and hats with 12"X18" construction paper. 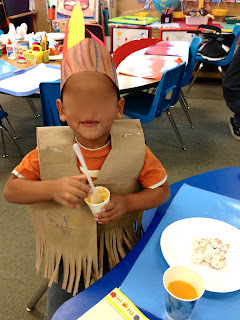 Our Native American vests were made from grocery bags. Use 9" X 13" paper doilies (you can find them at Michael's) for the front of the girls' collars. They are just like the boys' collars, except they tie in the back with white yarn. So cute! You got all the way down here! Wow! Leave a comment and tell me how YOU celebrate Thanksgiving in your classroom. I saved the best secret tip for last. If you are live in, or are going to be around the San Francisco Bay Area over Martin Luther King, Jr. weekend (Jan 17-19), you won't want to miss the California Kindergarten Conference which is now called the P-K-1 Conference. I'll be presenting there on FUN Common Core Math ideas. Click HERE for the link. And... if you are in Southern California on Feb. 28 or March 1, register for the Southern California Kindergarten Conference and the Friday Night BLOGGERS' BASH! I will be presenting on Common Core English Language Arts and also on Common Core Math! And... I will be one of the 16 bloggers at the BLOGGERS' BASH which will have tons of prizes, food, and FUN! You can find more info about the conference RIGHT HERE and more about the BLOGGERS' BASH HERE. One where students write in the number after counting the sets. 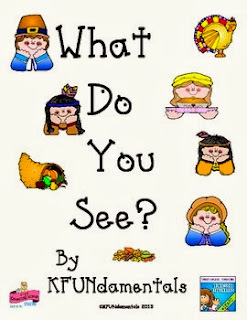 The second version allows students to write in the number and the sight word "see" on each page. Here is a helpful apple template that you can use for any number of things. I use them to help identify the parents who volunteer in my classroom. They come in color and in a black line master. Enjoy! I'll see you all here on the 4th of December with a cute holiday idea!